has had their visa cancelled. If you have overstayed your visa, you may be able to apply for a Bridging Visa on the basis of making arrangements to depart Australia. You will need to present an airline ticket to the Department as proof of your arrangements. If you have overstayed your visa for more than 28 days, or if you are removed from Australia, you will be subject to an exclusion period which prevents you from reentering Australia on a temporary visa for at least three years. 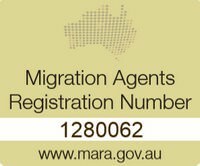 If you overstayed your visa and are subject to removal from Australia, you may wish to contact Migration Agent to discuss your options.